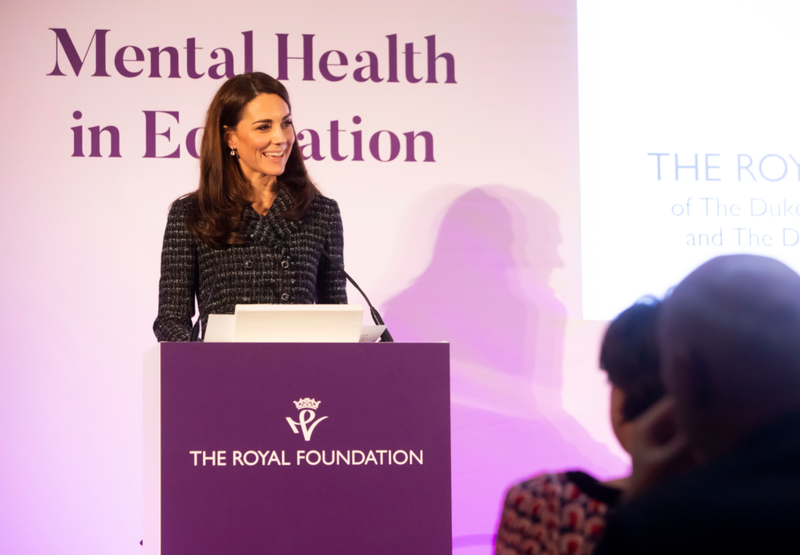 On Wednesday 13th February 2019, The Duchess of Cambridge attended the 100 Women in Finance gala dinner, which was in aid of Heads Together’s Mentally Healthy Schools programme. The Duchess is patron of 100 Women in Finance, a leading non-profit organisation for professionals in the alternative investments industry. 100WF’s Board of Directors selects a charitable organisation for its philanthropic initiatives from women’s and family health, mentoring and education programmes. Mentally Healthy Schools, their chosen beneficiary, is a website we run in partnership with The Anna Freud Centre, Place2Be and Young Minds, giving primary schools free and easy access to hundreds of the highest quality mental health teaching resources. After joining a short reception, Her Royal Highness made a speech ahead of the dinner. Good evening and thank you so much Ed. I think you know just how passionate I am about the work that you do, and what you have said here tonight really brings to life the vital role that schools and teachers play in supporting our youngest children. Your vision is hugely inspiring and testament to what school, teachers, parents and communities can achieve when they all work together. Thank you. I have often been asked why I have decided to focus my work on the early years. Having been lucky enough to meet some of our country’s amazing charities and organisations tackling some of our hardest social challenges, I became acutely aware just how important the earliest years of our lives really are. The root cause of some of our most challenging experiences in adulthood, such as poor mental and physical health, addiction, homelessness, crime and family breakdown, can so often be traced back to the very earliest years of someone’s life and often over generations. We therefore need to look at the prevention of some of these issues, before they take hold and become a problem. The evidence is clear that from birth, the first few years of a child’s life are more pivotal for social, physical and emotional development and for future health and happiness than any other single moment in a lifetime. It is also clear that in these first years, the positive development of babies and children is directly linked to the wellbeing of those who care for children, parents,carers and teachers. In my early years work I am looking at how best we can support parents and families, however we must remember that teachers, school leaders and school staff also play a vital role in shaping who our children become and how they develop. It is therefore critical that we support them so that they can provide the best level of care for all children in their schools and communities. 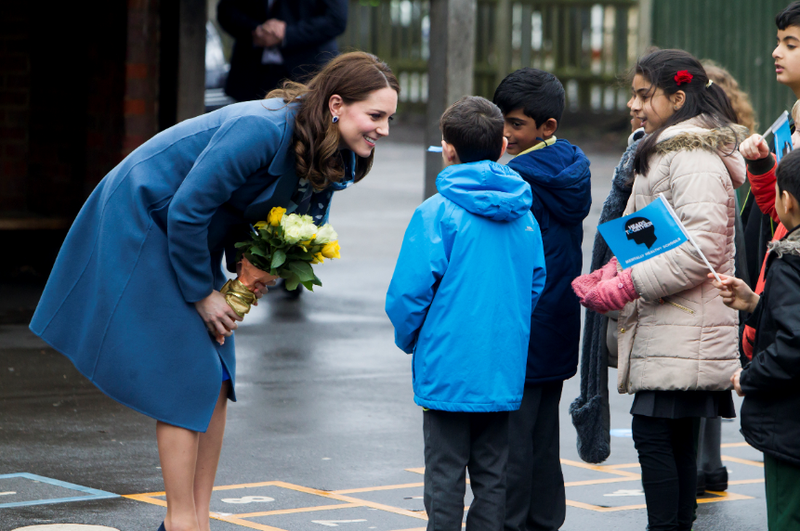 The mentally healthy schools programme is the first of its kind and aims to help all children, all teachers in all primary schools across the UK. 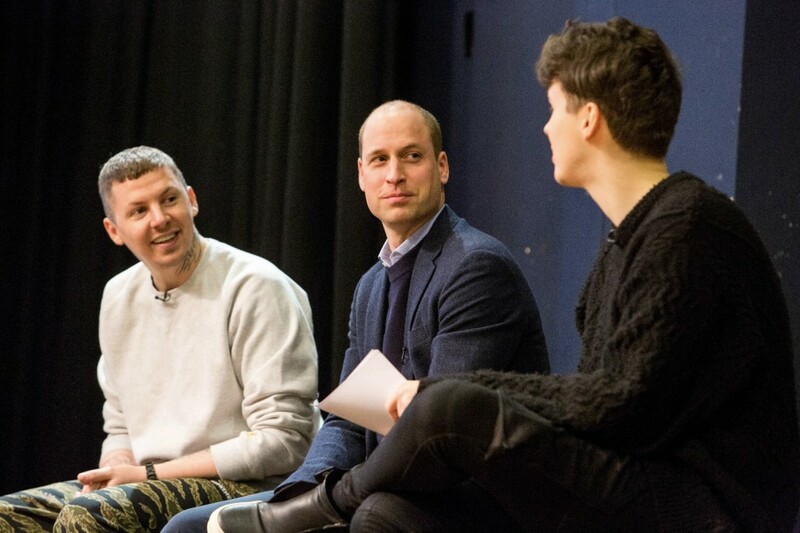 Providing the latest information and advice on some of the most difficult topics, it will encourage schools and teachers to highlight the importance of mental health and to prioritise the emotional development of our children. We have also heard loud and clear from teachers and parents that access to this sort of support is important to them too.I believe passionately in working together. We all need to start understanding the importance of childhood development, and tackling this from home and from school, through parents and teachers, if we are to help raise the next happy and healthy generation of adults. Finally I just wanted to say a huge thanks to 100 Women In Finance.Over the past decade you have been unwavering in your support of our patronages and your efforts have made a huge difference to so many of our charities.So I just wanted to say thank you, for this wonderful evening and for all of your support over the years, I can’t tell you what a difference it makes.